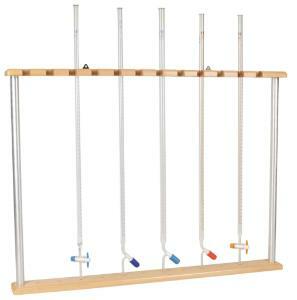 Safely store up to 12 burets. 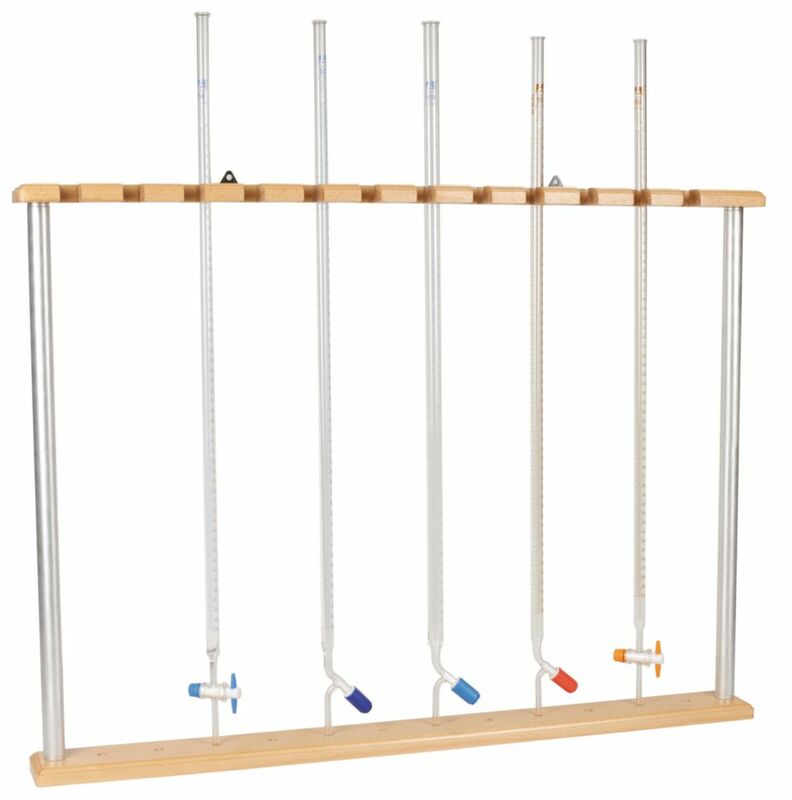 This buret rack accepts 12 burets of 50 mL capacity, up to 0.75" (2 cm) in diamater. The sturdy design allows burets to be fitted in and removed very easily. Optional brackets allow for the rack to be mounted to the wall. Rack dimensions are 32 x 3 x 23.5".